The Steinway Society of Riverside County presented their 17th Annual Doctors Concert at Desert Island in Rancho Mirage on February 10. 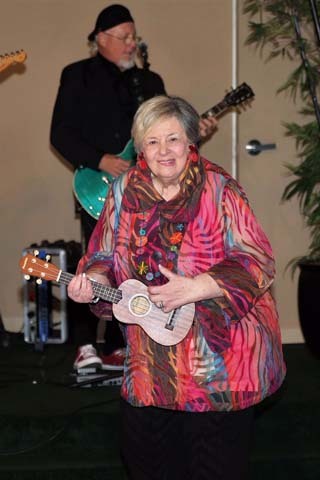 According to Ruth Meir, Their CEO and Founder, this popular event touches the lives of nearly 30,000 students in junior and senior high schools throughout Riverside County with musical education. The need for reviving music in public schools was the result of cutting back on the arts budget in 1980. Riverside County met the challenge when Ruth Moir, CEO, and Founder of the Steinway Society educated herself to “to filling the artistic gap” as the funding for music education was fading away. This unfortunate situation was remedied in 2002 when The Steinway Society came to the rescue. The gift of music education has since flourished throughout Riverside County. Nearly 300 guests attended this year’s 17th annual Steinway Society event. The focus was on music from start to finale. Denise Ondishko, pianist and National Board-Certified Teacher, greeted guests as they arrived playing a range of popular and classic favorites. The program began at 11:30 AM. KCBS TV with” Brooke Beare serving as Mistress of Ceremonies. Gold Sponsors were the Coeta and Donald Barker Foundation and the Palm Springs Philharmonic. The Silver Sponsors were Dr. Anthony Bassanelli and Family, D.I. Voorhees and Sarah Milmet. The Bronze Sponsors were Donna MacMillan, Carole Roos Haller, Sandra Van Ert, Yvonne Maloney, and Helene Galen. “The Steinway Society’s admirable role I am providing free musical programs such as classic concerts in public schools are legendary,” said Phyllis Eisenberg, the event’s Honoree. Jazz and Master Classes exemplify this to Mr. McSymphony, a series of five classes bringing music appreciation to 1st through 5th-grade students. The program opened with the Excellence in Education Award presented to Louisa Castrodale, the Visual and Performing Arts Coordinator for the Palm Springs Unified School District. Performances by three doctors, Dr. Anthony Bassanelli, Dr. Scott Russell and Dr. Vanessa Sheldon. Were followed by Kathleen Gurning, a prize-winning pianist and an 8th-grade student at Day Creek Intermediate School in Rancho Cucamonga. 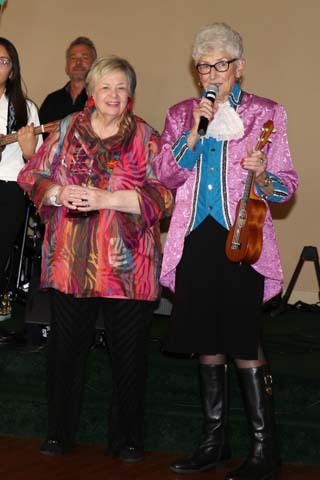 The event concluded with words From Honoree, Phyllis Eisenberg, known for her philanthropic commitments from the Israel Guide Dog Center for the Blind to the McCallum Theatre Muses. The Palm Springs Art Museum and Tools for Tomorrow among other charitable organizations she graciously accepted the award commenting that The Steinway Society has brought the gift of music to countless students throughout Riverside County.